15088 Huntington Gate Dr., Poway, CA 92064 (#190014031) :: Ascent Real Estate, Inc. Unique breathtaking architecture throughout this magnificent French Chateau in the enclave of Huntington Gate. 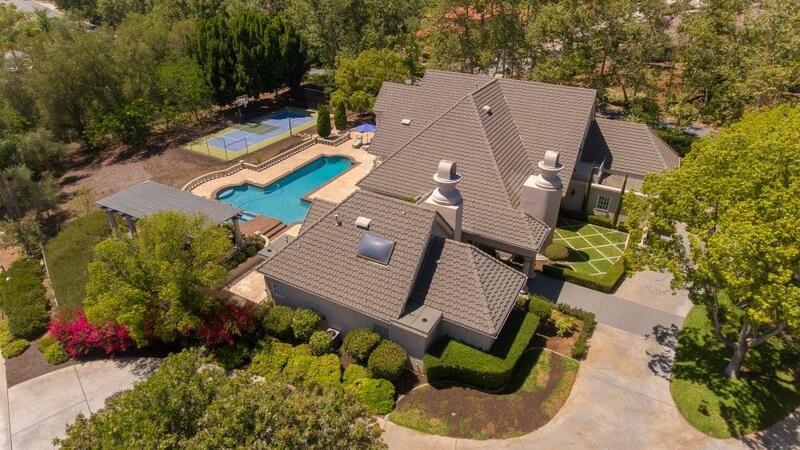 This impressive estate home is situated on a usable 1 acre and features a formal pool and spa, pool bath with shower, sport court, BBQ, and pergolas for al fresco dining. Gourmet kitchen, luxurious master suite that occupies a separate wing of the home, travertine and walnut flooring, a multitude of French doors and elegant chandeliers. 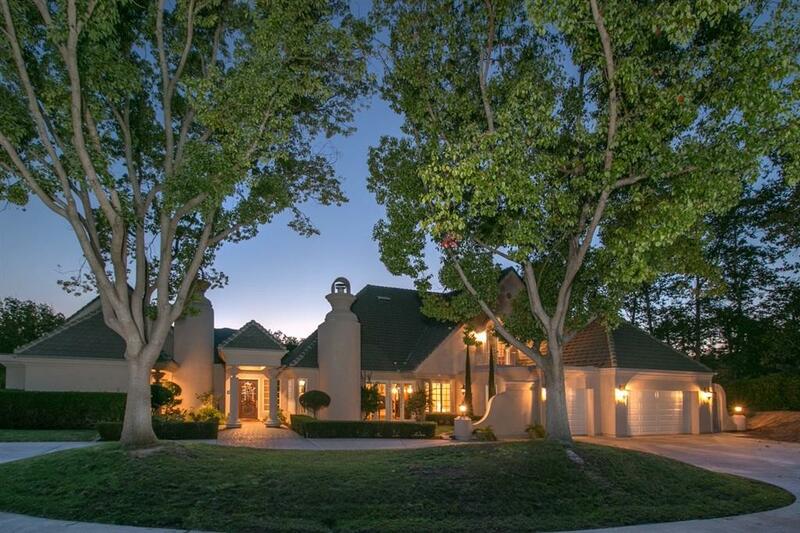 Spectacular estate designed by renowned architect Paul Thoryk. The beautiful chefÃ¢â‚¬â„¢s kitchen featuring cherry cabinetry, granite countertops, tumbled stone backsplash, expansive island w/ hammered sink and 6 burner gas cooktop is adjacent to the sunny breakfast nook w/ stunning views to the pool and outdoor entertaining areas. The formal living room is showcased by the distinctive fireplace, dramatic vaulted ceilings, and walnut hardwood flooring. The oversized formal dining room boasts a gorgeous chandelier and French doors. Enjoy casual gatherings in the family room with itÃ¢â‚¬â„¢s striking stained glass window. The spacious master suite offers a sitting area with fireplace and a luxurious spa bath with jetted tub, travertine shower, granite countertops, vanity, and 2 walk in closets with built-ins. An ensuite guest room and a 5th bedroom/office are also downstairs. There are 2 ensuite bedrooms and a loft upstairs. The grounds of this impressive 1 acre property are highlighted by a large, elegant pool and spa, 2 pergolas for entertaining and al fresco dining, a BBQ island, pool bath with shower, and a sport court that facilitates several sports including basketball, shuffleboard, and badminton. No Mello Roos or HOA fees. Award-winning Poway schools close by!